Update: The public offer for the Chairman’s Preferred US Airways Dividend Miles Premier World Mastercard has expired, but you still might be able to apply for it – check out this post for more information on it as well as a version of the card that comes with 35,000 bonus miles and the first year’s annual fee waived. The current offer is 30,000 bonus miles with first purchase and up to 10,000 bonus miles for a balance transfer within 90 days and an annual fee of $89 that is not waived. Last week, talk was heating up in the media and news about an imminent American Airlines US Airways merger, so for today’s Maximize Monday, I thought I’d put together some ideas about how flyers with either or both airlines can make the most out of the merger if it does take place. I think any possible merger could be a huge win for consumers who have been racking up miles (or plan to) through co-branded credit cards from these airlines. One of the best airline credit card offers on the market right now is for the US Airways Dividend Miles Premier World Mastercard, which I wrote about here and which is currently offering a first-purchase bonus of 40,000 miles, another 10,000 miles after the first year and 10,000 more miles on each subsequent account anniversary. Might as well get in on this great deal while it’s still around! One of the great things about this card from Barclay’s is that it’s notoriously easy to apply for it over and over again and keep scoring the bonus, so if this is your first time applying for the card, great, you’re earning at least 40,000 miles from it, while if you’ve had it in the past, you can get it again before the merger goes through and this offer might disappear. It also carries some other valuable benefits like 5,000-mile discounts off US airways redemptions and double miles on every US Airways purchase which you can still take advantage of. If you have a lot of Chase and Amex cards and want to cycle in a new product this may be a good idea while it still exists. In terms of making sure you rake in the American miles, Citi has some competitive offers out there for its range of co-branded AAdvantage cards with 50,000-mile offers on Citi Platinum Select AAdvantage Visa Signature, the Citi Select AAdvantage American Express and the CitiBusiness AAdvantage Visa for spending $3,000 in four months. The AAdvantage and Dividend programs are structured a bit differently, so it’s good to know where you’ll stand. If a merger happens you’ll most likely be able to combine elite miles from both programs, which is great since US Airways allows you to buy elite miles. However, I would NOT speculatively buy dividend mile elite status until this is 100% confirmed. But, if so it could make sense to buy the elite miles needed to hit 100,00 since I believe AA Executive Platinum is the best elite status and the 8 systemwide upgrades are very valuable- easily worth between $3,500-$8,000 depending on how you value them. Unlike other frequent flyer programs they are eligible on most published fares, which is extremely generous (United and Delta have many fare class exclusions). I suspect the two airlines will take on US Airways’ 4-tier elite status structure, but for now you’ve got to evaluate the differences between their comparable tiers. For instance, American Platinum members get a 100% mileage bonus on flown miles while US Airways Gold – the comparable level – only earn 50%, and even US Airways Platinums only earn a 75% bonus, so if one of your goals is to earn the most award miles possible on flights and all other things are equal, American offers much higher bonuses once you hit the Platinum tier with the airline. If you’re aiming for systemwide upgrades, American also offers Executive Platinums 8 per year, while US Airways Chairman’s Preferred members only get 2 though they can bring along a companion. That said, US Airways offers unlimited complimentary upgrades to First Class within the continental US, Alaska, Canada, Central America, Mexico and Caribbean to all elites whereas with American that’s only an option for Executive Platinums (all others have to put in to use 500-mile upgrade vouchers). You can buy up to Chairman’s Preferred (their top status) for $3,999 (though that drops to only $2,999 as long as you have at least 1 Preferred Qualifying Mile in your account – so try to fly at least 1 mile! ), Platinum for $2,999 ($2,499 if you have at least 1 Preferred Qualifying Mile), Gold for $2,499 ($1,499 with at least 1 Preferred mile), or Silver for $1,499 ($989 if you have at least 1 Preferred mile). So one strategy you could consider – though I think it’s expensive unless you really plan to fly a lot and max out those elite benefits – would be to buy Preferred status on US Airways since I think this option will be going away after the merger and then use to get the equivalent status on American. For now. I’m not sure if this will even be an option since they may shut this down after the merger, so I would wait until further details are known, but it’s something to keep in mind. 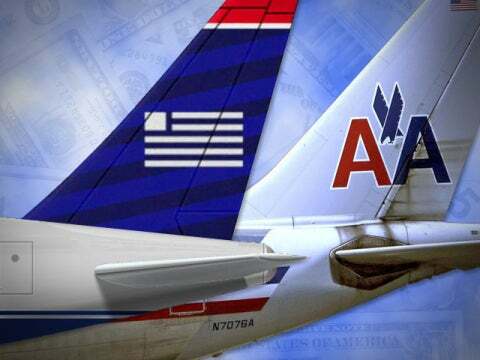 Elite members will have twice as many flights to receive upgrades on with a potential merger. While the two airlines are separate for the time being, if you are only an elite member of one, you could do a status match or challenge to the other in order to maximize your status on the airline you don’t usually fly (assuming you can get your travel plans in order to do so) and then when the merger does go through you’ll be at a higher level than you would be traditionally due to your normal activity. American allows challenges which require a co-pay and a certain number of Elite Qualifying Points (not miles) within a 3-month period: 5,000 for Gold and 10,000 for Platinum. American does not generally do challenges for Executive Platinum, but with the recent SkyMiles changes it can’t hurt to ask as there have been reports of them offering them. While the requirements to fly are less than Delta and United, they do have charge to sign-up for the challenge. The most recent costs were: $120 for Gold and $240 for Platinum. Once you’ve done your research, enroll in a challenge by calling AAdvantage customer service at 1 800-882-8880. US Airways offers trial status challenges (which is basically a paid status challenge like American’s) for between $200-$600 depending on what tier you’re going for, and you don’t need to already have status with a competitor. When you pay the fee and complete the flight requirements within 90 days, you get to keep your status for the rest of the year (in this case, just until February 2013). You can enroll for their trial Preferred offer online, and when you pay for your challenge and complete the flight requirements, you will be awarded the status level you have completed, through February 2014. AA planes will probably keep their new paint jobs. Another much-discussed topic concerning elite status these days is Million Miler status – especially considering the current lawsuit against United that has been allowed to proceed where United Million Milers complain that their elite benefits were reduced after the merger when United and Continental amended their elite benefits. Million Milers who had achieved that status and the promised benefits before the merger believe that they should get what they were originally promised – and there’s no reason the same thing might not happen with this merger. So really, it’s the American flyers who should be on the lookout for changes to the program and make sure they get the benefits they deserve, while if you achieved this on US Airways, you might just have some added benefits coming your way. There’s no way to tell exactly how a merger will affect the AAdvantage and Dividend mileage programs yet, so you might as well use your miles in each program to their maximum potential while you can. Each frequent flyer program has some strengths and weaknesses, though, that you should plan to take advantage of before the merger goes all the way through since no one is sure what will remain and what will be replaced. My guess is that the new airline will leave its US Airways Star Alliance affiliations and remain a member of Oneworld, so if you’re a US Airways devotee, that will mean you will go from having 26 other alliance airlines to fly down to 11 – so better book those Star Alliance partner awards now if you have any coming up! Personally I love using my Star Alliance miles from United and US Airways on carriers like Lufthansa and Singapore Airlines, as well as for my recent trip to South Africa. 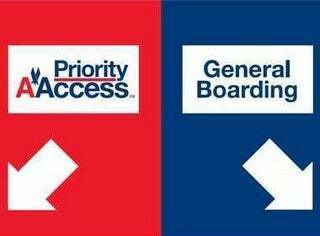 Off-Peak Awards: Both American and US Airways have off-peak awards, but American’s are more generous and easy to use, even though they’re only good for coach travel. They much more flexible than US Airways’ and last for months at a time to certain destinations compared with just a few weeks for some of US Airways’ off-peak awards (and the airline actually just did away with its business class off-peak awards to Europe and Hawaii altogether). Recently, US Airways pulled their North America to Europe off-peak awards without any notice, which is not a good sign. American has never offered off-peak business so I would not expect that to come back though I hope they keep AA’s longer off-peak calendar. This means that for about six months of the year you can get from North America to southern South America (like Argentina, Chile and Brazil) and Europe for as little as 20,000 miles each way – a stellar value. Obviously the dates are a lot tighter, and hence so is availability so it can be much harder to secure these low-level tickets. Award Chart Sweet Spots: Each program has its sweet spots. American’s major boon is the off-peak awards I mentioned above. For instance, instead of using 65,000 miles to get to Japan roundtrip in coach, you’d need just 50,000 miles with an off-peak award. You could fly to Buenos Aires for 40,000 miles roundtrip instead of 60,000 miles – that’s almost enough savings for an off-peak roundtrip from North American to the Caribbean (12,500 miles each way off-peak). For its part, US Airways has a couple interesting sweet spots. The one I like to talk about most is the fact that you only need 110,000 miles to fly from North America to the South Pacific including Australia and New Zealand in business class (compared to 125,000 on American) where you can build in a stopover in Asia thanks to US Airways’ routing rules, so you’re getting two trips in one. US Airways also requires just 90,000 miles to get to North Asia, which includes China, Japan and the ‘Stans compared to American’s 100,000 to Japan and 110,000 to China. The other major sweet spot – and one I just took advantage of – is that US Airways counts all of Africa as a single zone, and business class awards are just 110,000 miles (70,000 coach) in business class while American would require 150,000 miles (75,000 coach) roundtrip – and chances are you’d have to transit through London and pay huge taxes and fuel surcharges on top of it!). Flexible Routing: In terms of flexibility, each airline has some positives you can take advantage of now which might not be there after the merger. American allows one-way awards at half the price of a roundtrip, which US Airways does not, so it’s ideal for flexibility when flying into one city but back from another, or if you need to position yourself for a flight but don’t need to return to your starting point necessarily. American also lets you add another leg onto your award by giving you one stopover in a North American gateway on an international itinerary, so if you’re flying from Los Angeles to London, you could spend a couple days in New York or Miami on the inbound or outbound and make a real trip out of it. Or say you fly from Madrid to New York on an American award – you can tack on a New York to Hawaii leg at some point within a year after you land in New York. On the downside, American does not allow stopovers on domestic travel at all. US Airways is great when it comes to maximizing stopovers, open jaws and round-the-world possibilities, On each award itinerary, you can have either one stopover or one open-jaw giving you the flexibility to hit a few different places on your trip. Fees: American’s award fees are lower than US Airways since US Airways charges you a $25 for domestic award tickets, $35 to Mexico and the Caribbean, and $50 to Hawaii and internationally) in addition to whatever taxes and fees you have to pay on the ticket itself, and both charge a $75 non-refundable close-in booking fee within 21 days of travel. 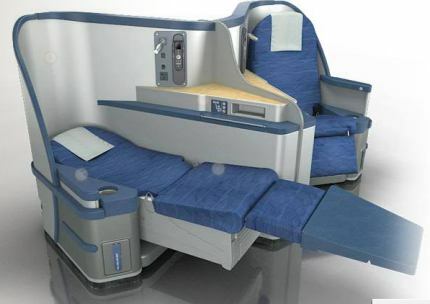 American’s new 777-300ER first class. 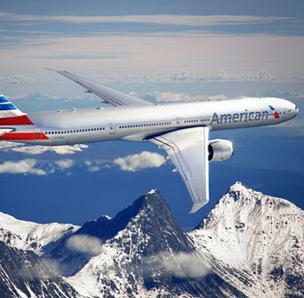 American is currently launching an entire rebranding process that will include a fleet of new planes. The airline plans to bring new 777-300ER’s and 737-800’s into service along with new premium class products, and a merger shouldn’t change that. However, the process is sure to be slow and gradual, and you might not see these new planes on many routes for a while. 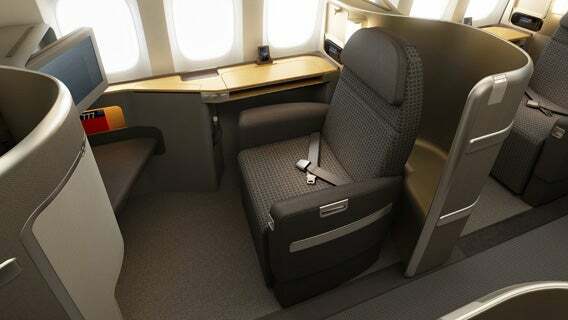 US Airways’ Envoy Suite is among the top premium products offered by US airlines. In the meantime, if you’re traveling internationally and have a choice of flying either American and US Airways, and are looking to rack up miles that you don’t necessarily need to use right away but want the best premium class service, I would suggest booking US Airways for now since the airline has a great Envoy Class international premium product with fully lie-flat beds in a reverse herringbone configuration. Though a merger has not yet been confirmed, and I would suggest waiting until the details emerge about how the airlines and their frequent flyer programs will change before taking any of these steps, it’s important to keep them in mind in the coming days as further information comes out and you start to form your post-merger mileage strategy.